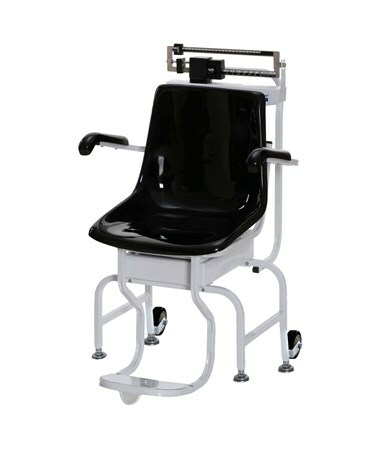 The 445KL Health-o-meter Professional Chair Scale is an industrial strength mechanical scale - ideal for anyone with difficulty standing, but are not wheelchair bound. Built with high grade steel, this scale is made to endure many years of intense use. Its sanitary and easy to clean seat is perfect for any health care facility, including hospitals and weight loss centers. The large weighing seat was created with comfort and security in mind. 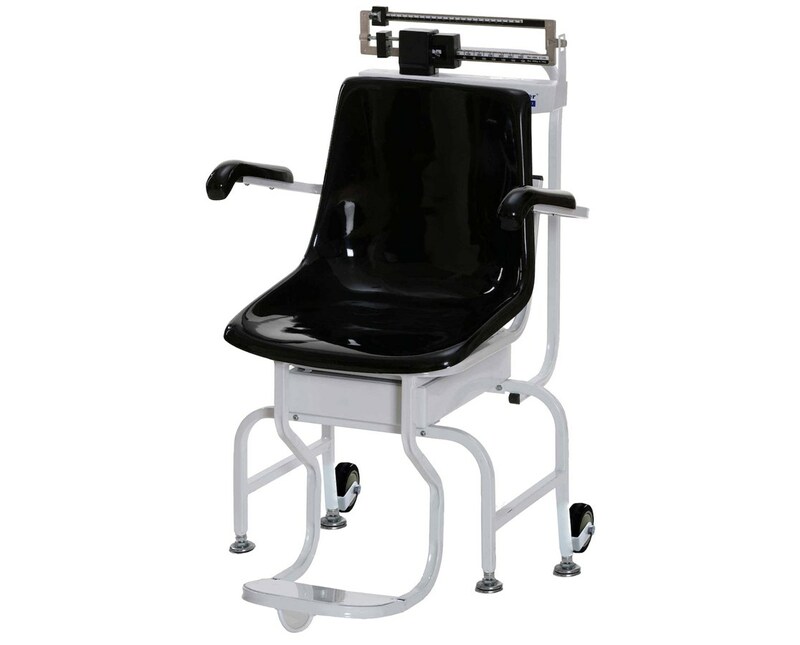 With flip arm rests and folding nonskid foot rests, your patients will have easy access and a safe entry/exit to the scale. The built-in wheels allow for easy movement, making this scale completely transportable. Measurements can be made in pounds or kilograms. The bubble level indicator and large digits ensure a clear and precise reading. Each scale has been calibrated before leaving the factory, guaranteeing its accuracy. If you are looking for an economical and reliable chair scale, the 445KL Health-o-meter would be the natural choice to enhance your weighing procedures. Platform 16.5" x 18.5" x 17.125"
Overall Measurements 16.5" x 18.5" x 17.125"